For a Java servlet to be accessible from a browser, you must tell the servlet container what servlets to deploy, and what URL’s to map the servlets to. 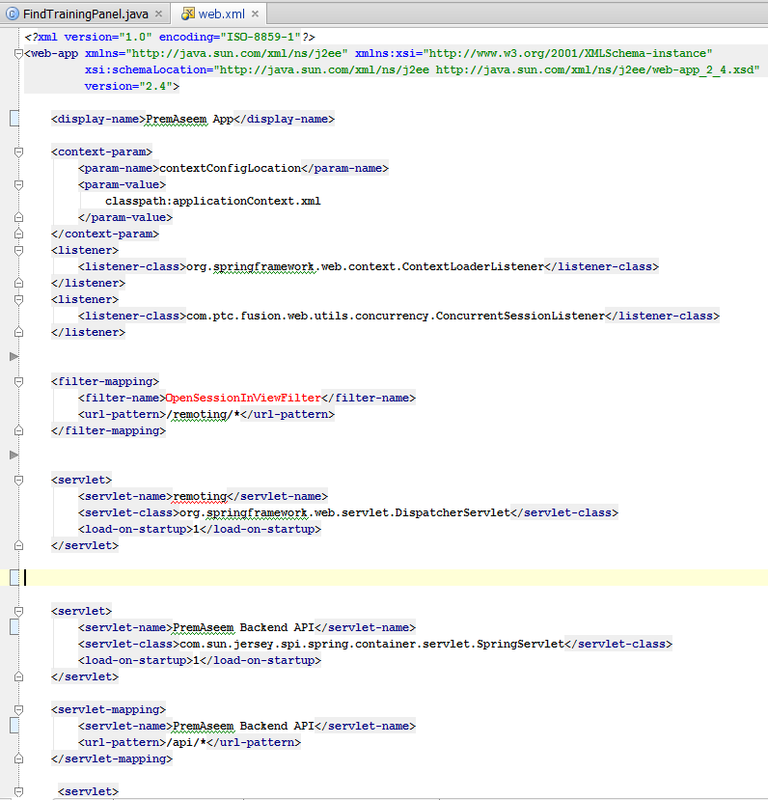 This is done in the web.xml file of your Java web application. First you configure the servlet. This is done using the <servlet> element. Here you give the servlet a name, and writes the class name of the servlet. Second, you map the servlet to a URL or URL pattern. This is done in the <servlet-mapping>element. In the above example, all URL’s ending in .html are sent to the servlet. The * is a wild card, meaning any text. As you can see, you can either map a servlet to a single, specific URL, or to a pattern of URL’s, using a wild card (*). What you will use depends on what the servlet does. A servlets init() method is called when the servlet container loads the servlet for the first time. No one can access the servlet until the servlet has been loaded, and the init() method has been called successfully. The <servlet> element has a subelement called <load-on-startup> which you can use to control when the servlet container should load the servlet. If you do not specify a <load-on-startup> element, the servlet container will typically load your servlet when the first request arrives for it. By setting a <load-on-startup> element, you can tell the servlet container to load the servlet as soon as the servlet container starts. Remember, the servlets init() method is called when the servlet is loaded. The number inside the <load-on-startup>1</load-on-startup> element tells the servlet container in what sequence the servlets should be loaded. The lower numbers are loaded first. If the value is negative, or unspecified, the servlet container can load the servlet at any time. « What is Servlet Mapping ?